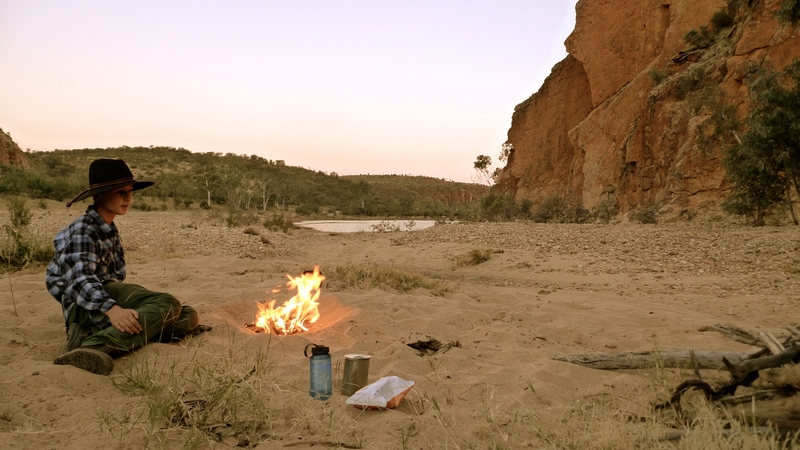 …solitude in the Australian Outback with a wonderful son! Beaut photo and beaut words, Baz! Beautiful 🙂 Very cozy ambience from the pic! Precious photo! Love this precious photo! Perfect example of solitude. We have them here so I am always mindful of them. Never met one that I didn’t shoot so I’m probably not an animal activist favorite person. Saw a couple yesterday while out playing in the bush! That’s a beautiful scene, Baz, and you and Janet have a wonderful son to sit under that canopy of stars with. And a packet of chips?? Solitude together in a beautiful setting is the best kind of solitude! What a marvelous photograph. I hope to travel to Australia someday. Would be an amazing experience. Thanks so much for visiting my blog. Much appreciated! Well, drop on down, we’d love to see you here!